Built in 1924 by John Savage, Eagle Lodge is a stately English stone manor home on the edge of Clearwater Lake. 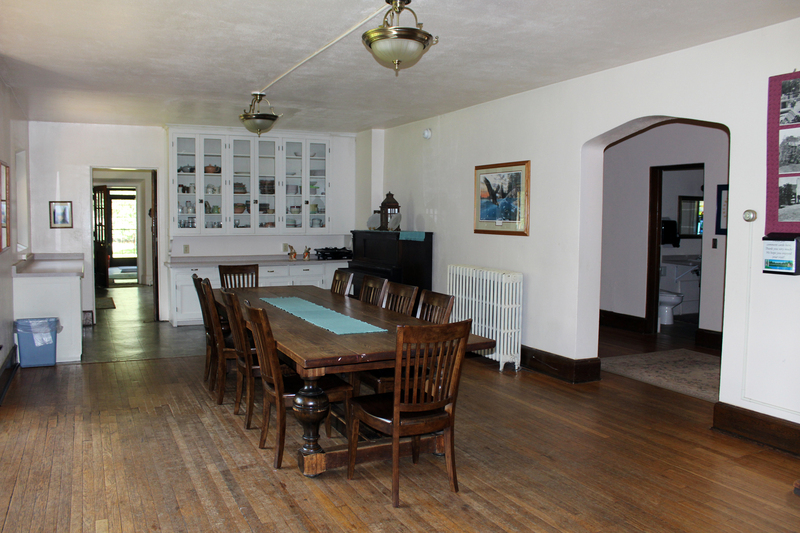 Comfortable and welcoming, the lodge is the perfect setting for a small retreat group, family reunion or gathering of friends. It may also serve as a gorgeous backdrop for a wedding! The lodge has sleeping space for up to 35 people with a combination of queen, double and single beds throughout the nine bedrooms. A second floor guest lounge with three pull-out sofas may serve as a sleeping area if needed. Other features include seven bathrooms, a great room, dining room, full kitchen and two glass-enclosed heated porches for sitting. 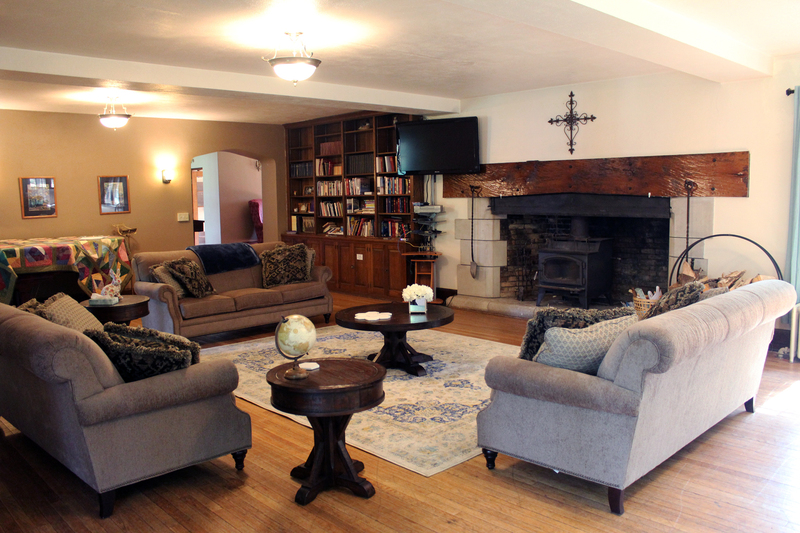 The great room has a wood burning fireplace, baby grand piano, library, games and TV with DVD player. The dining room seats 25 and the lawn has 2 stone patios with outdoor seating.